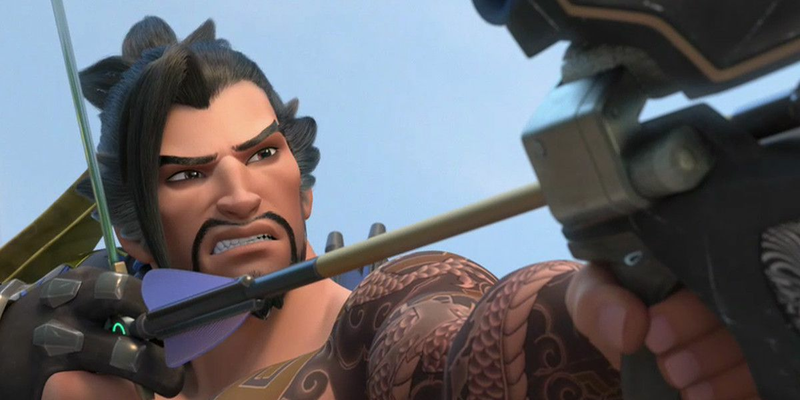 To say that Hanzo’s Scatter Arrow has been unpopular would be an understatement. In late January, Overwatch game director Jeff Kaplan noted that Blizzard is adjusting the ability. He admitted that it doesn’t feel great to get one-shot killed by a Hanzo player aiming at your feet with a Scatter Arrow. No details about the potential rework of the ability have been mentioned just yet, but Overwatch principal designer Geoff Goodman gave some details on what hasn’t worked on the game’s forum. “We’re still narrowing in on what broad direction to take him, and what would make you really glad to have him on your team,” Goodman wrote. Goodman outlined three main ideas that just didn’t work—replacing Scatter Arrow with a barrier-piercing arrow, changing Scatter Arrow significantly, and adding a new reload ability. Each was “fun,” Goodman noted, but had its problems. But it ultimately felt really bad to play against, as “it was pretty frustrating to be feeling safe behind a barrier and get headshot through it and die,” Goodman added. The rework of Scatter Arrow changed the ability to give a faster projectile speed that could ricochet just once and couldn’t split off the floor. That gave the arrow a much tighter spread, making it much harder to use. “This version removed the floor Scatter entirely but added some new options in either using it as a long-range sniper shot or using it more accurately off a single wall or ceiling,” Goodman said. It was just hard to use consistently, especially in areas that were too open and without walls to bounce the arrow off of, he said. As for the new reload ability, Goodman called it “crazy.” Hanzo’s reload key is currently unused. This ability would have allowed players to sacrifice some of their regular arrows to “forcibly reset” Hanzo’s special arrows.